I have join the serv on the 20th December 2016. I also participated in the themed-Build of Elendil tomb a grave mound on Amon Anwar. In the lord of the ring, I really like rohirims and elves, particularly sylvian elves (in Mirkwood). I prefer trees and flowers to the big stone walls of Minas Tirith but I enjoy Arnor and Dwarf architecture. I also like the goblins. If I became an artist, I would take part in bigger projects in Moria or other part of the middle Earth and maybe later Aman. I wish for you an happy new year. Could you give us some more information about you and your skills. There is an application format you should follow. Most important for a good application are screenshots of your builds, especially of your Themed-builds. You should participate in at least one Themed-build. To update your application, just edit your post above with the additional information and some screenshots (overview and details). Also reply to this thread, just something like "update". This will make us notice your updated application. How can I post screenshots on Internet ? First you have to upload them. You can use our media section or any file hoster on the web, e.g imgur. Then you can insert them into your post, use the "image" icon at the top of the editor and paste in the image URL. Just ask if you need more help here or ingame or join our Discord chat server. Thanks for the update @slaMoria! Unfortunately I can't see your pictures. You need to make them visible to others. Go to Media > Albums and into the album with your pictures, on the right side you can "change permissions". Set "Can view" to "Members" or "Everyone". If your pictures are not in an album yet, you have to create on first and move the pictures into (click at the checkbox at the upper left corner of a picture to move). 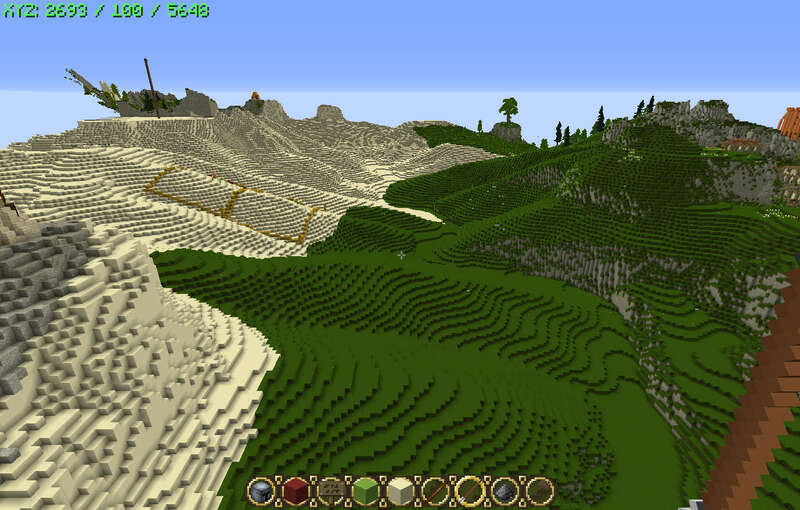 I like your Themed build very much, especially your job on the terrain is very nice! Your Chamber of Light houses do also look pretty fancy. Now I want to make sure that you are 100% ready before I promote you, as I want to avoid that you're being overwhelmed by the things Designers might ask you to do. Your Themed build is very nice, but unfortunately that one did not require any houses to be made; and as Artist this will be something you'll be doing very often: Building houses. I would like to ask you to participate in another Themed Build, best one that requires you to develop some own buildings, because that is really where I can see your building skills quite a lot better than in a TB with only a lot of terraforming. Thanks. Is barad Nimras considered as an house. If you build a house there, it will be considered as a house. The tower itself can show your building skills, too. But the more different things you show in your themed build, the better for your application. You can build a fancy tower, some houses around and even a wall like in the picture at TolkienGateway. But you don't need to stick to that picture. If you prefere to build your own imagination of Barad Nimras, great! Yeah a tower is also already very good to show building skills! The tomb of Elendil just really was mostly terrain; while it's very good to be able to make nice terrain, it is something Artists usually don't really need to do very often. So, I will be artist ? I also made an house near Barad Nimras. the house looks nice, thats all I can say from the sceenshot which is taken from far away. But the tower walls are quite flat and don't look like a fancy elven build. You could try to give the walls more structure and details. Also try to improve the interior, some screenshots show very empty rooms. You should aim to finish every bit of your themed build an fill it with a lot of interesting details. Materials are another issue. You used white bricks for walls and floors. It would be better to have distinct materials for walls and floors. Also builds look better if you use two main building materials. You already did that for the walls (you used some grey small and large bricks) the floors would look better if you would use a second materials there too. Thanks Eriol for your suggestions, I have post new screenshots. Uh, which screenshots? Can't find any new in your application post. This is quite different whit relief. I had make a new decoration. If you want, you can check Barad Nimras .